Well Recon 2014 has come and gone and I have to say that the HMGS South BOD and membership sure know how to run a great con. Even after all these years I still get excited to go to these cons and feel as excited as a kid on his birthday does with the anticipation and excitement of seeing my old friends and playing in some great games. These cons really do have some of the same premier game masters who run games at Historicon, Cold Wars, Southern Front, Rapier Con, etc. And this con was no exception! The games were great and plentiful, I believe there was well over 125 official games over the weekend. 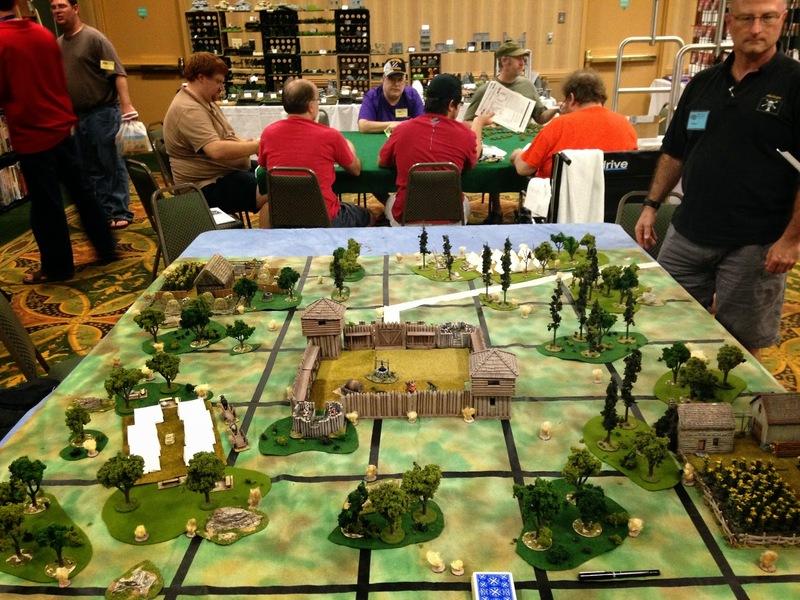 In case your interested in future cons check out this link: (www.hmgs-south.com) This post is in no way an AAR of the con but only a few notes from a few games. I hope to post more photos and comments about the con as the months pass. Above is a pic my buddy Bill Hogan took and tagged from our encore running of "The Wind And The Lion game at the con. "Search for the Ark" game Saturday morning. There action, adventure, negotiations galore, and of course Eastern treachery. The central powers jockeyed for position and possession of the Ark of the Covenant. 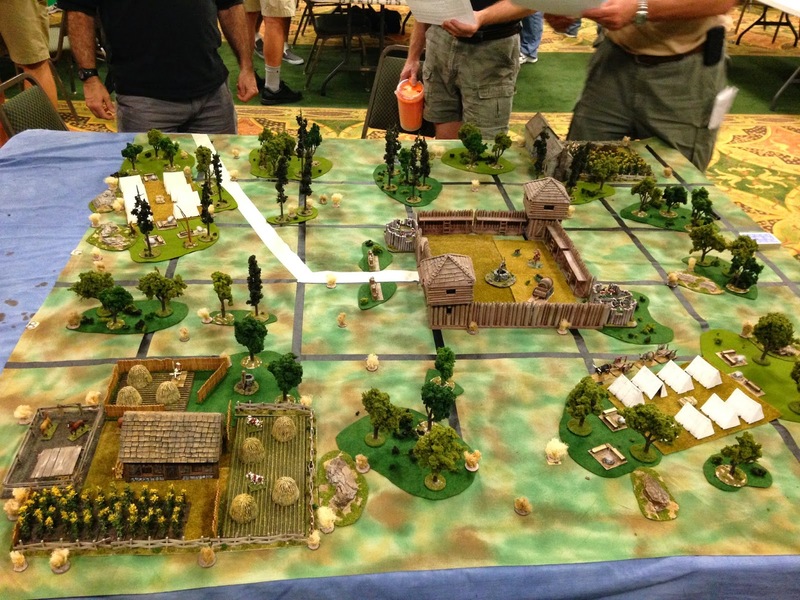 Then Bill Hogan ran his exciting French and Indian Wars game, "Dawn Raid in the Mohawk Valley". The unsuspecting and sleeping British troops were caught unawares by a lightning quick and devastating raid which decimated the surrounding county side. Many a militia man and civilian had fallen, but in the end the British maintained possession of the central fort, albeit on fire, and with minimal casualties to the regulars. 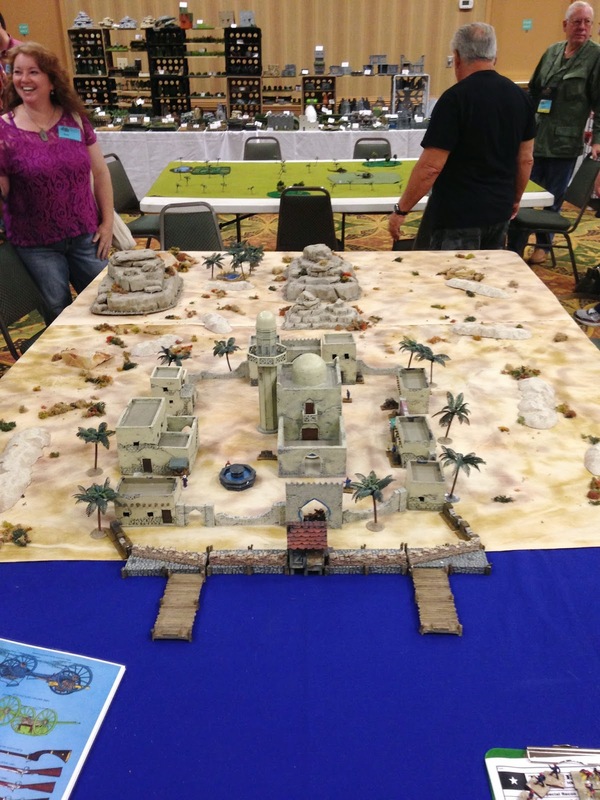 Both games were a hoot and both game masters did a fantastic job on the troops, terrain, and their scenarios. Search for the Ark - We are French and we are surrounded, Sainte merde, pas bon ! 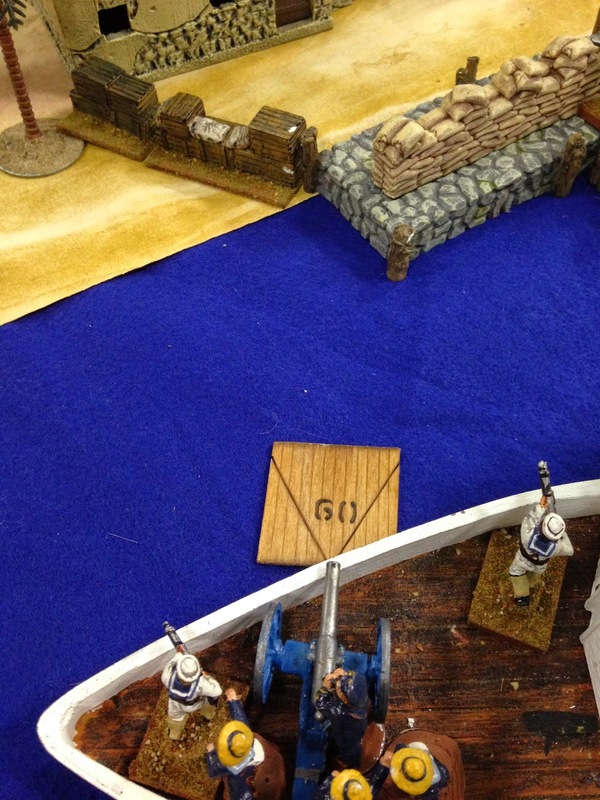 Search for the Ark - load the cannon Ship board artillery takes aim with "Last Stand Dan's" fire markers. 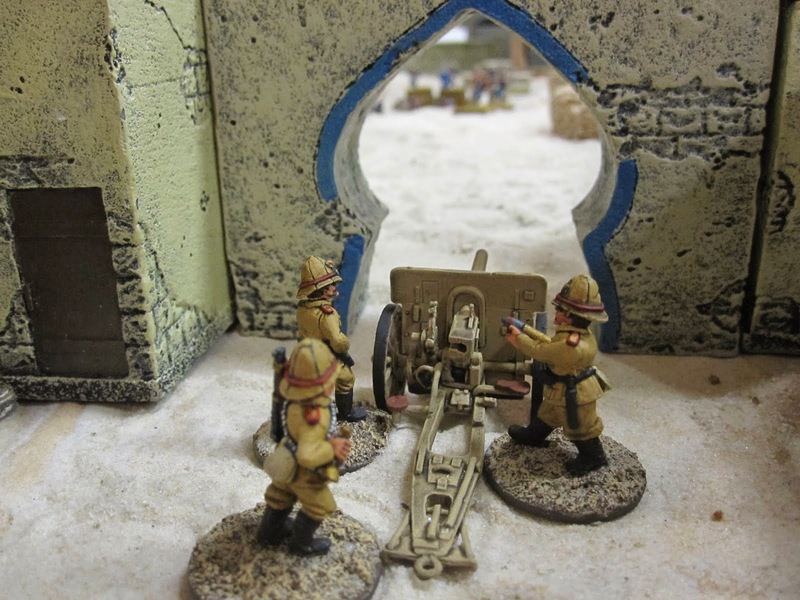 More pictures and a short AAR for both of these games are on a separate post. 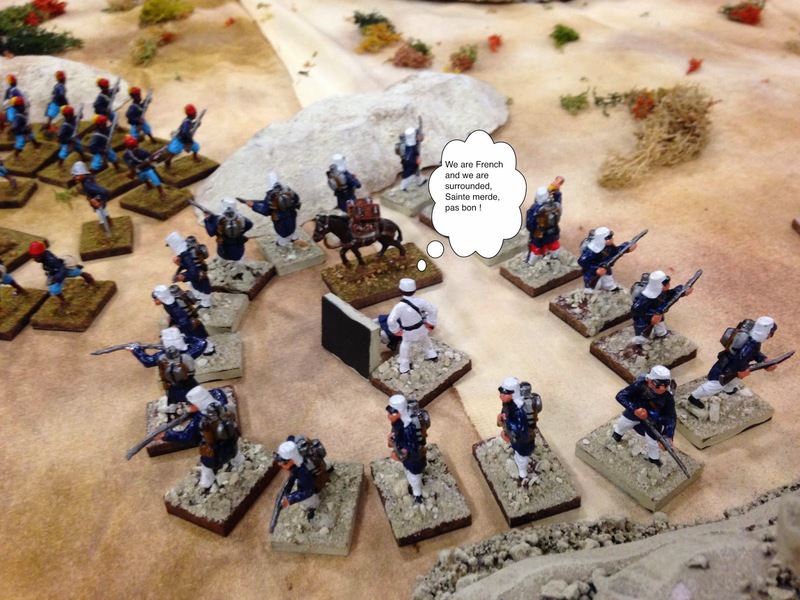 I will also be posting an AAR of our "The Wind And The Lion" game.